In 2010 the Enterline Foundation offered me a partial scholarship to enroll in the Executive MBA program at Emory University. Like many nonprofit executives, I began my career doing the frontline work of the organization. Due to a combination of ambition, timing, and perhaps business acumen, years later I found myself running the business; yet, with no formal business training. During the MBA and since receiving the degree in 2013, I have been better prepared to meet the ever-changing demands of leading a growing organization that is serving more people in need every year. We have experienced unprecedented growth in every major category over the last several years and I cannot help but credit my educational experience with helping me oversee some of that success. Therefore, it should go without saying that the Enterline Foundation, by investing in our leadership, helped increase capacity of our special organization and improved the lives of the near 200 people we are now serving every year. On behalf of Annandale, our board, and our Villagers, thank you Larry Enterline! On April 14, 2013, the first recipient of The Enterline Foundation Scholarship at Cleveland State University was recognized for receiving the scholarship. 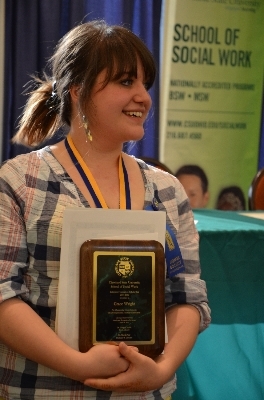 Grace Wright will be volunteering 400 hours at the HELP Foundation. The HELP Foundation is located in the Cleveland, Ohio area and serves those with special needs. Grace and her family were very excited and thankful to be receiving the scholarship and we will look forward to watching her progress as a student. The DDD Foundation is a nonprofit dental clinic providing accessible, comprehensive dental treatment to more than 4,600 developmentally disabled patients. Adults with developmental disabilities enjoy increased life expectancy, but also have an increased need for oral surgery. In 2014, The Enterline Foundation provided a three-year grant to the DDD Foundation’s dental clinic, to provide salary for an oral surgeon and an oral surgery assistant. This grant allowed the DDD Foundation to enter into a three-year agreement with an oral surgeon and a surgical assistant, which guaranteed consistency and continuity to the DDD Foundation’s oral surgery program. 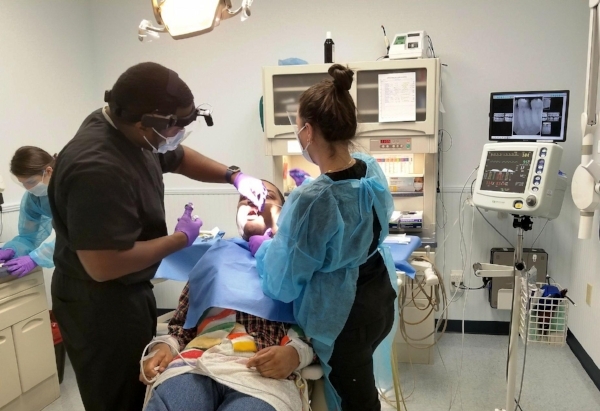 Even though the three-year contractual commitment with the oral surgeon has ended, the oral surgeon and his team have remained, and they continue to provide oral surgery to an increasing number of DDD Foundation patients. Thanks to this generous grant from The Enterline Foundation, the DDD Foundation’s dental clinic has been able to provide a much-needed service to developmentally disabled patients. An added bonus is that by having dedicated staff for oral surgery, the dentists and other dental staff are free to focus on dental patients. With the dental team and oral surgery team working in conjunction, wait times for appointments, as well as wait times in the waiting room, have decreased. The Enterline grant has been used to enhance the probability of competitive employment for Excel students after graduation, increase access to resources which provide needed support for people with disabilities to enter into and succeed in the job market. Excel has leveraged its collaborative relationships, to develop a statewide Job Search Toolkit for individuals with intellectual and developmental disabilities, to use for independent job acquisition. Employers will be able to post jobs and recruit job seekers with disabilities directly from the Toolkit website. The Job Toolkit has been end-user tested by Excel students, and the website will go live in the summer of 2018 as an accessible statewide resource. Thanks to Enterline, Excel has been able to scale its work with businesses, non-profits, and Atlanta-based start-ups to identify internships where students could meaningfully contribute and enhance their employable skills for full-time work after they graduate. The Enterline Foundation has given us a gift that keeps on giving. The Frazer Center combined the grant from Enterline with one from Wells Fargo toward the purchase of a new accessible van for the adults with developmental disabilities whom we serve. Because of these grants already committed for the van, we were able to secure another grant from The Home Depot Foundation through the Building Community Network, part of which will fully fund the van purchase and also allow us to create a remarkable partnership with Atlanta Ballet. The adults in our program will now have the transport to dance with professionals from the Atlanta Ballet and volunteer with the oldest ballet company in the country. Thank you, Enterline Foundation! The Enterline Foundation committed to giving $25,000 a year for the next four years for Hattie Larlham's Vocational Rehabilitation Public & Private Partnerships (VRP3) Program. The program provides vocational training and employment opportunities to adults with developmental disabilities. 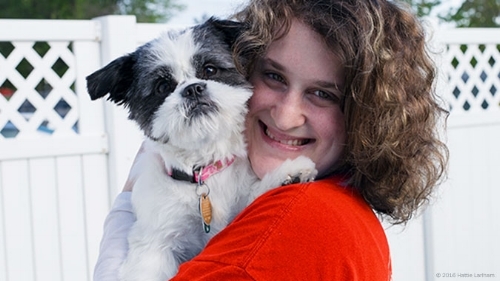 Hattie Larlham offers various supported employment opportunities including Doggie DayCare & Boarding, Hattie's Cafe & Gifts, as well as a program that involves a partnership with Little Tykes, a manufacturing company. The donation will allow Hattie Larlham to provide employment opportunities to an estimated 150 individuals - a 100% increase. Founded in 1955 by the Sisters of Mercy, Holy Angels is a private non-profit residential facility in Belmont, NC. In an environment that fosters loving and compassionate care, opportunities for dignified living and innovative learning programs, we strive to empower the differently able. 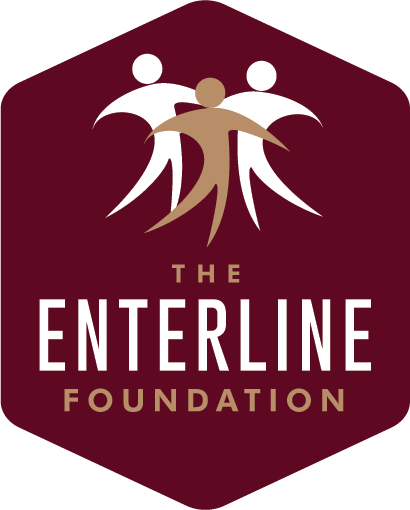 The Enterline Foundation has faithfully provided funds for general operating support since 2003. Holy Angels is dependent on the generosity of funders like the Enterline Foundation to help meet 20% of their general operating budget, which for Fiscal Year 2017/2018 was $2.2 million. This support allows us to provide a wide array of services for those with intellectual developmental disabilities and delicate medical conditions including: residential living, day services, supported employment opportunities, medical services, physical therapy, special education services, creative arts and recreation. In 2017 [after receiving a $10,000 grant from the Enterline Foundation] we were able to start an Early Intervention Program (EIP) designed for children, birth to age five, which provides them with intense therapies based on their specific needs. Each week therapists provide services such as speech, physical, play, music and massage therapies. During this critical time of development, we strive to maximize the potential each one of our “little angels” possesses as we are dedicated to believing in the possibilities that lie within each one of us. In addition to our little ones, Holy Angels serves adults with our oldest resident being 76 years old. Spectrum Autism Support Group is grateful for the support of the Enterline Foundation for our new Technology program for teens with autism. Purchasing needed equipment and developing a meaningful curriculum was made possible by a $7500 grant. Three sessions of Technology Club have served 40 individuals along with two weeks of Summer Technology camp which served 24 individuals. Club members have enjoyed working alongside others in small group activities to complete technology projects and share ideas, while practicing the important skills of teamwork, encouragement, and responsibility, while building friendships. 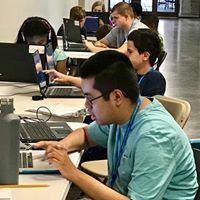 The program is interactive in nature and has included projects such as: games that teach coding, web design, 3D creations, creating photo slideshows, and recording and acting in videos. The skills learned will make a difference for these young individuals in future job opportunities and needed social skills for success. The Technology club program has been one of our most popular programs, with waiting lists for all sessions. Thank you to the Enterline Foundation for making a difference for individuals impacted by autism!